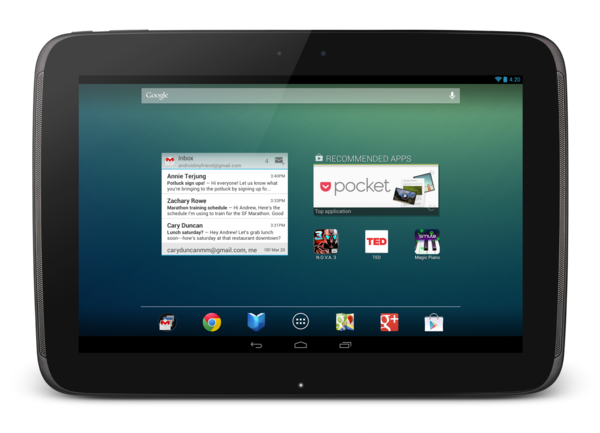 Over the period of this article we will be checking out on how to update the Samsung Nexus 10 device with latest Jellybean 4.2.1 paranoid custom firmware. It is one of the most powerful custom ROM firmware after the Cyanogen Mod 10 firmware. As this is a custom ROM firmware you must root your device before start to apply this update. And also make sure whether your device battery level is atleast 60% to avoid the risk of your device getting switched off during the middle of the updating process. First download the Paranoid Custom ROM firmware package and Google apps package from here to your computer. So, once you downloaded, then connect your Samsung Nexus device to the computer with the help of original USB cable and place the two zip files in your device or SD Card. After that disconnect your device so that it can be entered into the recovery mode. To enter into the recovery mode you need to follow the given below steps. Just hold the Volume Up button + Home Key Button (the middle button) and while holding these both buttons, press the Power button. Alternatively, with the help of ROM Manager app also you can enter into the recovery mode. You can download this app from the Google Play Store. So, once you entered into the recovery mode, you need to select “Wipe data/factory reset” & “Wipe Cache partition”. Also, select “advanced” and clear the Dalvik cache too if you are on the custom ROM firmware”. Now, select the option of install zip from SD card and select the paranoid custom ROM firmware and the Google Apps Package which you have placed already in your device. Once you select these two files within 5 minutes your device will updated with the Paranoid Custom ROM firmware. If you want to check whether it is updated or not navigate to the path Settings > About Tablet there you will see the Paranoid Custom ROM firmware.